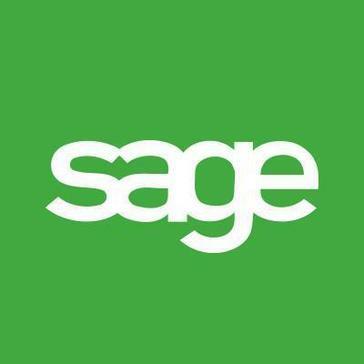 Work for Sage Fixed Assets? Learning about Sage Fixed Assets? "Sage Fixed Assets user for over 5 years"
I use Sage Fixed Assets to maintain my asset listing and for depreciation purposes. The program is fairly easy to use. You can easily create or dispose of your assets as needed. Each asset file has plenty of fields for detailed information on the asset. There is several report options to print asset listing, disposals reports and various depreciation reports. The depreciation methods are current and updated as laws change. It's very easy to select the depreciation method you need for individual assets. I have several companies created for each location, but for CPA reporting at year end I am able to create a new company that includes all of my location files so that the data is all on one report, for reporting purposes. I do have periodic problems printing from the program. My IT department has instituted a "fix" for this. The program does take a few minutes to generate reports to print or view to screen. Sage Fixed Assets makes maintaining your fixed assets a much easier process. I have always been in charge of fixed assets with every company I've worked at and had to keep track of fixed assets and calculate depreciation manually. Using Sage Fixed Assets make the process much easier. Sage Fixed Assets is an effective way to keep up my asset listing. Updating the asset list is very easy. Sage Fixed Assets calculates depreciation accurately and makes accumulated depreciation balancing easier. Sage is easy to use and update. The reports are easy to run, download and format. The fixed asset exports make it easy to download the asset listings and reconcile to the books. Sage has the ability to add multiple books for tax. It would be nice to hide old/disposed assets from view. Sage has all book and tax requirements and depr options. Sage has all the necessary reports for tax auditors. Sage has the ability to easily add and dispose assets. We are able to calculate tax depreciation and generate reports for our tax auditors that our current accounting system does not offer. Sage provides all the depreciation methods that are needed for our company. We are able to save money by calculating our tax depreciation rather than sending to our tax auditors. They constantly keep the software up to date with the latest law changes. The updates are almost instantaneous to a new law. Also the software is very user friendly. Once you get the hang of it, everything goes very easily. It is not always easy to find asset lives in the research section. When I come across new fixed asset types that I don't know the est. useful life for, I sometimes have to research to find what it should be, based on the IRS rules. The Sage Fixed Asset Software does have a research function, but it is not the easiest to find things in. Helps us to track our fixed assets and calculate and record depreciation. I wish it was easier to transfer the depreciation from the Sage Fixed asset software to our ERP system, but it does take a little work, and a little extra IT help / knowledge in order to get it set up. But once set up, it quickly becomes an easy process. "Great for automoating posting for you assets." the ability to spread the depreciation over a long amount of time. The software automates the process and the General Ledger entries for Sage 50 accounting. We are better able to reduce mistakes in doing these manually. The software has to be completely separate from sage 50 accounting. Fixed assets needs is not backed up in your accounting software. Sometime the entries fail to post to the General Ledger in Sage 50 so your have to run the posting again. Be sure you use one of the sofwares what Sage fixed assets can automatically post the General Ledger entries into it for you. Manual entries are way to much trouble when software can do if of you. We are better able to manage our time by no longer having to do entries and calculations manually. Also when issues are made its easier to follow the track backwards to decide where the mistake was made. When we did this manually you basically would start over. "Does the work you would expect. Not very user friendly"
The depreciation entries are generated for you over a time period and automatically posted for you into Sage 50 accounting. Often the connections to my Sage 50 accounting are not made and you have to restart both software just get them connected. It would be nicer to have them all in one software. Also backups are separate from the general accounting. I did not know this and its not 100% clear when you set it up. Be sure you use the accounting for sage 50 as well. They automated postings into your General ledger make all the difference in the world.. also be sure you invest in their automated back ups for both softwares. They are separate and but they are a life saver if something happens to your data. Entries are automatically calculated so no more manual calculations and GL entries. "Great program overall but still having issues with freezing"
Sage FAS has a lot of great features. I find their reporting to be accurate and reliable for depreciation and acquisitions. There are plenty of customizable fields to use if needed. The standard fields for assets are easy to understand and run reports with. There are a lot of year end functions missing in Sage FAS. I would like to be able to automatically schedule reports to run simultaneously at year end. I have the same 10 reports I need to run with the same specifications. I would like to be able to run these reports using a scheduler. At times the program freezes, I do not know why it happens and Sage Support cannot fix it either. It is very frustrating. Sage Fixed Assets does a great job. But if you need software that is more customized for reporting I would look somewhere else. I have been able to use Crystal Reports with Sage FAS and this has allowed me to create more customized reports. I have a schedule of yearly reports that I run and I am now able to run them on command. "Nice fixed asset management tool"
The interface is pretty straightforward with the asset's information, such as description, life, costs, depreciation method and tax depreciation method. And it's easy to switch between two asset tabs, also easy to see a list of assets. Once you enter one or two assets, it's easy to get up to speed. I did not notice any checking mechanism within the tool to notify me any errors or help reconcile differences. So if something was entered wrong, it may take some luck or time and patience to locate and fix it, even the tiniest mistake. And fixing the error is not that easy. It could potentially help with the tax side as far as I know as it has the function. But I've never used that part of it yet! Manage fixed assets, keep track of them. "Sage Fixed Assets - Tracking/Network"
We use this software to track all of our agency assets. What I like best about it is that we've begun using a barcode scanning system with the software and it has made our inventory so much easier. The software itself also incorporates to MIP fund accounting quite nicely. User interface is a little primitive. Some search features need to be refined and not put you in a temporary asset group. It's a bit tedious having to go back and forth. SQL backups still not available so they have to be done manually. Make sure you hire a consultants and software expert. We went years without using key features until we decided to hire an expert. "Easy to use, but must be integrated into your accounting system"
It was really simple to add in Fixed Asset purchases into the Sage system. Very easy to run the reports and run drill downs on particular assets. It must be integrated into your accounting system or you will have to do a lot of back and forth to get it working smoothly. Storing all of our fixed assets in the system and using it as a standalone to calculate depreciation to create journal entries in our accounting system. "Good in many places, challenging in others"
The detail in the asset input is exceptional. I can't think of any kind of depreciation book or method that is missed. The software has almost anything covered in that regard. There are many optional fields allowing user flexibility. The main screen allows a quick overview, with helpful sorting abilities to help find assets. The most significant problem is the ability to get a report that is commonly needed for accounting purposes - either for financial or tax auditors. If there is number detail, often times descriptions are not included, requiring cross-referencing between asset numbers and asset descriptions. Different Audits require very different kinds of reports. Review the needs of the organization and match them to the reports. Find someone able to help with custom reporting if the system does not meet your needs. Depreciation of assets, disposal information and some reliance on the system for inventory. The program is a little slow and requires its own backup. It would be better if it was built into SAGE 50 itself. Explore the options for integration into your accounting software. We are able to spread depreciation over the life of the asset automatically. "A Decent Product in a difficult field"
The thing with any fixed asset software is to not expect the program to be simple. Depreciation and asset tracking has all kinds of nuances, and selecting the wrong option can, unfortunately, screw everything up. It's no different with Sage Fixed Assets or any other depreciation software I've used. That said, Sage has all the features we needed, handling depreciation in a relatively quick environment. The biggest problem we had was usually when we were importing the assets into the software, but if your using the product in your company and entering the assets in as they come, it should be much more straight forward. Just make sure to do some reading up before you dive right it. It works well if you know what you're doing, but it takes a big before you can really know. "Meets our Current Fixed Asset Tracking Needs"
Tax and Book balance and the ability to have multiple companies. Reporting for net book value in both tax and book formats available. I'm not a big fan of the reporting format. It doesn't easily download into Microsoft excel for filtering in the standard reporting format out of Sage. Just ensure that before purchasing any software that it meets the current needs of your business as well as the expected needs 5-10 years down the line. Tracking of fixed assets. Automated calculations of NBV. Tracking for Tax and Book purposes. Ability to have multiple asset classes and different useful lives. "Sage Fixed Assets Handles Large Amounts of Data"
I like that I can enter the Assets into the system and I don't have to worry about finding the correct depreciation percentage. The software is slow and not very easy to use. It saves time that would be spent on keeping track of fixed assets. Very user friendly. Very intuitive system. I was able to self-train when I started. The help menus aren't very useful. We usually end up having to call support with questions. Install a bar code reader system. It will make asset inventories much easier. We recently started using the Tracking Network to assist us in tracking traveling demo instruments. Prior to utilizing that, we were running blind trying to figure out where each instrument was at any given point. Once you learn how to use Sage it can be very useful for creating customized reports. When you change something in an asset everything gets reset in that asset. Not very user friendly and easy to make a mistake. It’s ease of use and calulations. There’s no manual calculations or tax changes to keep track of. Bulky for small businesses who don’t have many assets. It’s rather a large investment as well. Greater control over depreciation calculations and changes. The product is easy to use and the price is very reasonable. We only installed the program on one computer. Have at least two users. Consider cloud versus on premise. Maintaining list of bank fixed assets. No manual calculation of depreciation. The ability to import fixed assets information.from excel via the mapping feature. The user Interface is some what outdated. * We monitor all Sage Fixed Assets reviews to prevent fraudulent reviews and keep review quality high. We do not post reviews by company employees or direct competitors. Validated reviews require the user to submit a screenshot of the product containing their user ID, in order to verify a user is an actual user of the product. Hi there! Are you looking to implement a solution like Sage Fixed Assets?